The best pictures of the Acropolis of Athens in Ancient Greece show the architectural glory that was Greece. 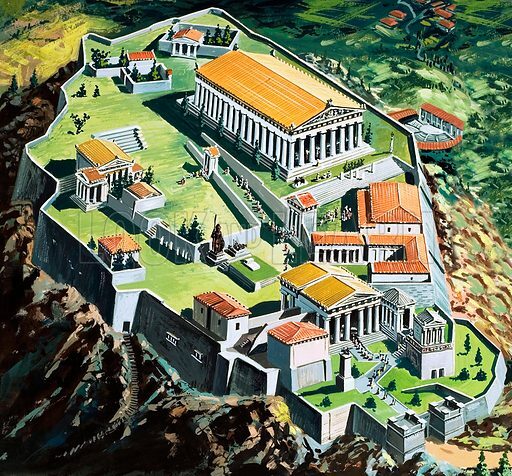 The first picture of the Acropolis shows an aerial view of the ancient citadel dominated by the Parthenon. 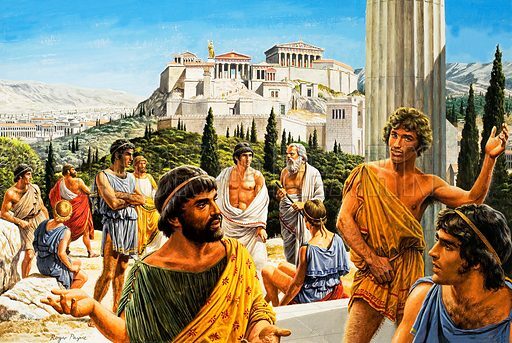 The second picture shows a group of Ancient Greeks perhaps discussing politics with the Acropolis in the background. 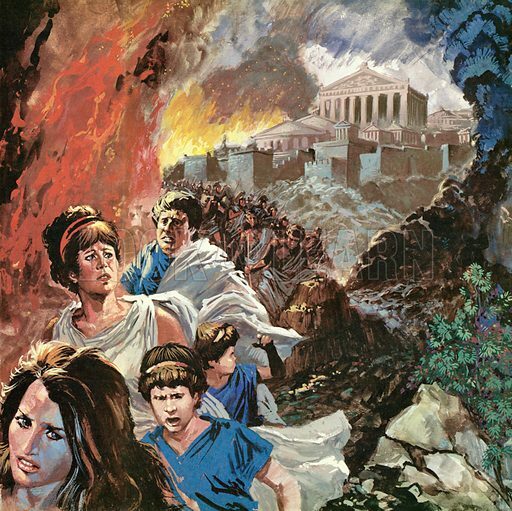 The third picture shows the Acropolis rising above the burning city of Athens, as the Greeks flee the great fire started by Xerxes and the Persians. Many more pictures of the Acropolis can be found at the Look and Learn picture library.